Let someone know you are thinking of them when they are feeling under the weather. 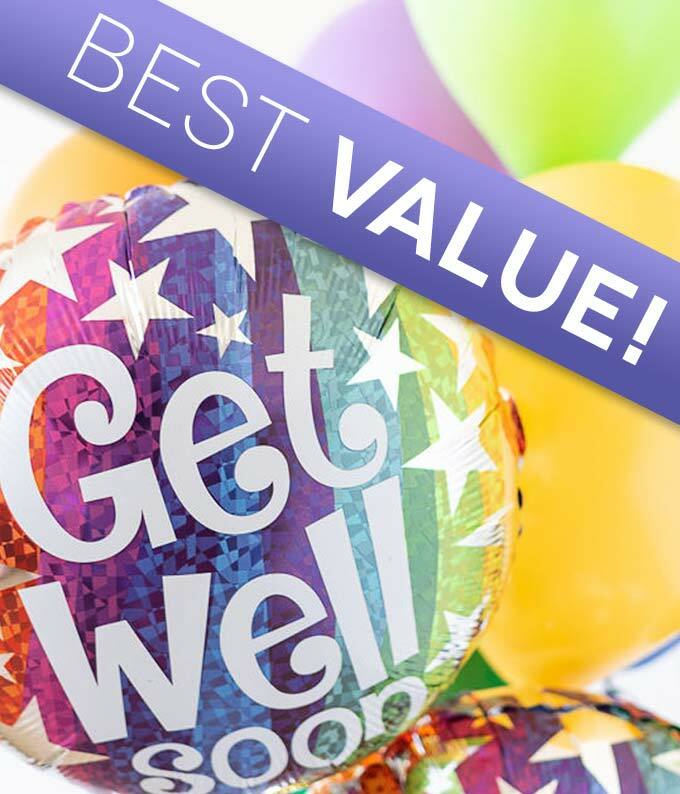 This bright get well balloon bouquet is created by a florist and hand delivered to send your thoughts. With 3 mylar balloons and 5 latex balloons, available for balloon delivery today by From You Flowers.